In this season of giving, I feel honored to receive the gifts of friends in the form of their thoughts and contributions to this site. C. Ann Gerber did not write the following as a Christmas poem, yet it tells the glad tidings of Christmas, the essence of the Christmas story. Christ comes to rescue us! The enemy left, he was done. And shielded her eyes from the Son. A remnant, a shell, torn and broke. His words breathed acceptance and hope. Was spotless and rising again. And worthy of nothing but hell. He’s looking for me and for you. This declaration of trust in God sounds like it was written by a committed, devoted, on-fire, unshakeable Christian, right? You know—one of those people who seem to have everything together, everything’s going great, their lives are shining models of what we all think we should be. Read it again, and notice that first word: But. His struggle sounds familiar. We’re battered by hard times, times of doubt, times of loneliness, times of discouragement. We go through dark, dark valleys, and we wonder if all of God’s promises are true. Can I believe Him? Will He really do what He says? Can I depend on Him? BUT, no matter what we might feel, God says His unfailing love surrounds His children. He cares about the anguish of our souls. He holds us in His hands, and He will not hand us over to the enemy. He will help us and put our feet on solid ground. Psalm 147:11 says He delights in those who put their hope in his unfailing love. Even in the dark and the pain and the aloneness. We will trust in your love, Lord! 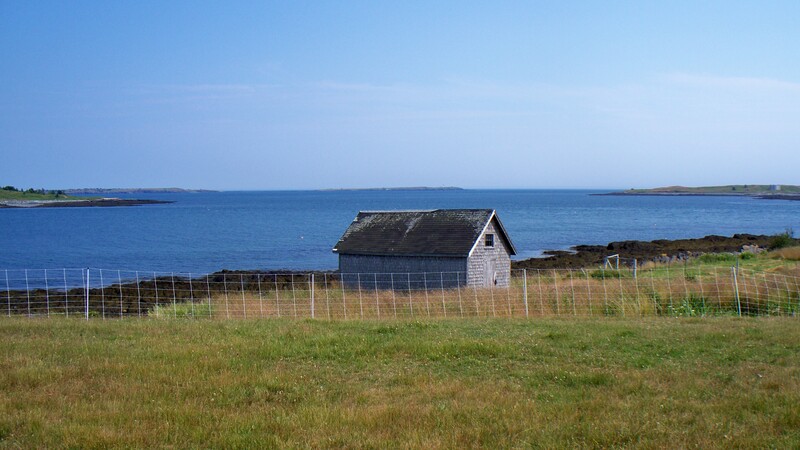 From a rocky farm at the tip of the Point o’ Maine, ocean and sky look endless, especially to a Midwesterner who grew up knowing only creeks and ponds. As I stood and tried to imagine the dimensions of the sea, words of the old song about the love of God hummed in my head: “If we could ink the ocean fill, and were the skies of parchment made,” we could not even then have enough ink or space to write the depth of God’s love for us. What does God’s love mean to you? How does God’s love change your life? He forgives and forgives and forgives. He doesn’t keep a record of how often I’ve failed Him. He gave up His life for me before I knew Him. While I was still His enemy, He loved me and came to my rescue. He loves me even though I don’t deserve it. What is it in me that makes me beloved by the Lord of the universe? Absolutely nothing. My human nature has proven that, time and again. He loves me only because He has chosen me to be His child and has chosen to love me. He takes action in my life. He works for my good in everything. He leads me along right paths. He sees me through His eyes of mercy and love; He sees me as He intends to make me—full of the glory and image of Christ. I know no other love like that. Do you? Amazing love. Contemplating the love God shows us fills us with joy, does it not? “This is my commandment: love each other in the same way I have loved you” (John 15:12 NLT). But here we stumble and balk. Yes, we even make excuses for not obeying this command of the one we say we’ve given our lives to. He asks us to love like God does? How does He expect me, in my selfish humanity, to do that? Father, you know how limited, how human I am; how could I ever love others the way You have loved me? Yet Christ asks me—no, He commands me—to love like that. He has chosen us, He says, to do this. Chosen by Jesus Christ to do the impossible! He takes it a step further… He doesn’t just want us to show love to others, He wants us to do it fully, abundantly, in a big, stupendous, astounding way – like a branch so productive that it hangs low with full, luscious, giant fruit. But we are dried up, puny twigs with nary a green sprout. Without Him, we are nothing. Without Him, we will never be able to keep this one commandment that is so important to Him. Without Him, we cannot even begin to love as He has loved us. No, we cannot love others as God loves us. And yet Jesus commands us to; and He promises His Spirit will produce that love, if we live in step with Him. His life will be lived out in us. We have been chosen for that! “I am the vine,” Jesus says. “Remain in me, and you will bear fruit, so much fruit that God will be given much glory.” If we give ourselves to the life of the Spirit, we will see the fruit the Spirit brings. We will do the impossible, and only God will deserve the glory. Will we believe what His Word promises? Will we live it? I want to believe-live, Father. So I think again about how You love me, and ask You, Spirit, to teach me how to love others in the same way. I know I can’t do it on my own; only You can produce that kind of love in me. I want the full, overflowing joy that comes to a life lived as You have commanded; I want my actions to reflect my love and thanks to You. You’ve heard statements like, “This is what I was born to do.” Or “They were made for each other.” You know what’s implied here — everyone will be happiest, most satisfied, or most productive, when they find that one thing that seems to be their purpose in life, or the one person who seems to be a perfect complement. The Holy God who lives forever has chosen to live with us; He brings those who are humble and have contrite hearts into a high and holy place. I am thinking again about that veil in the temple, setting apart the place that was the earthly dwelling of God. Jesus tore apart that separation from God. Now those who have humble and repentant hearts are the holy dwelling place of the eternal God. A breathtaking and humbling thought. He follows up that statement with the promise to send the Holy Spirit who gives us power to do what He has taught. God comes and makes His home with each one of us. He works in us, so that we can do what Christ gave us life to do. We were born again to bring glory to the eternal and holy God. And His agape makes it happen. He has made His home in every other believer. He is working to give each heart the desire and power to please Him and bring Him glory. The enemy would rather we look up and down the pews and criticize or judge those around us. God would rather we see what He has done and worship Him.